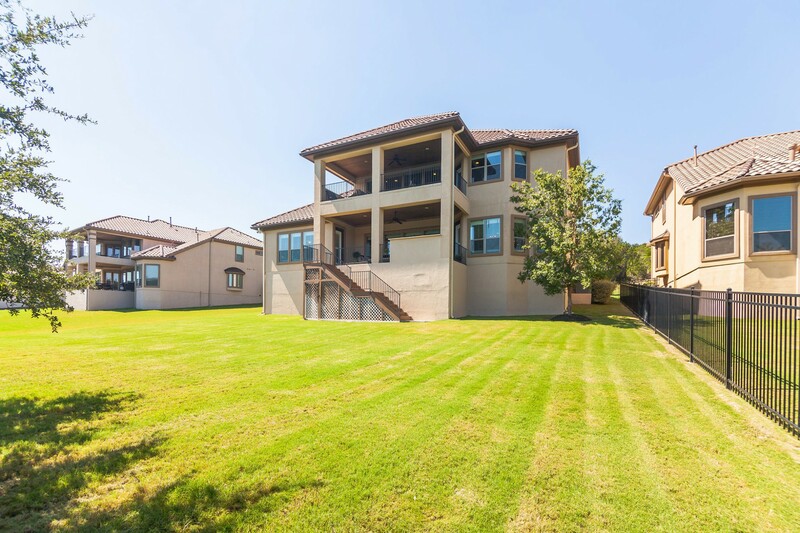 Located in the gated neighborhood of the University of Texas Golf and Tennis Club on a private street with no through traffic. 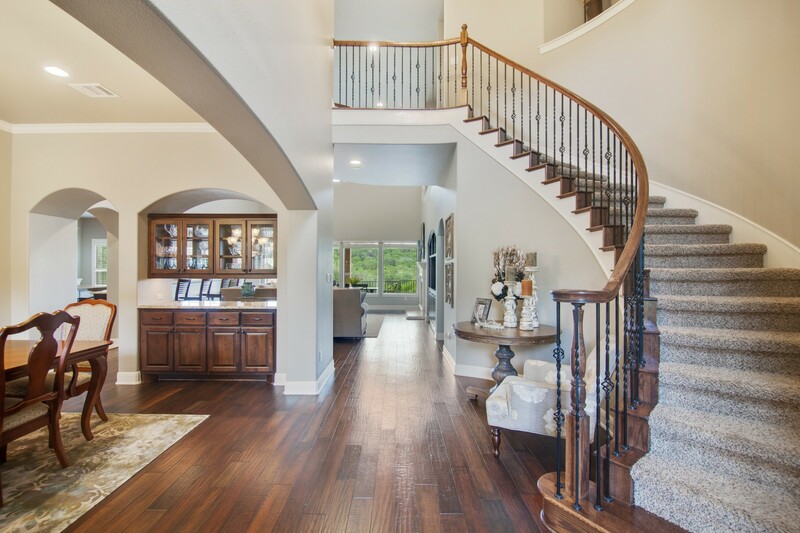 This beautiful 4 bedroom, 4 bath home boasts an office, formal dining, massive kitchen, game room, media room, 3 car garage & one of the best views in the golf course. The kitchen is an entertainers dream with granite counters, tile backsplash, under cabinet lighting, built-in stainless appliances, oversized eat-up island and tons of cabinet and counter space. The breakfast area opens to one of the two covered patios with an outdoor kitchen, overlooking the expansive backyard. 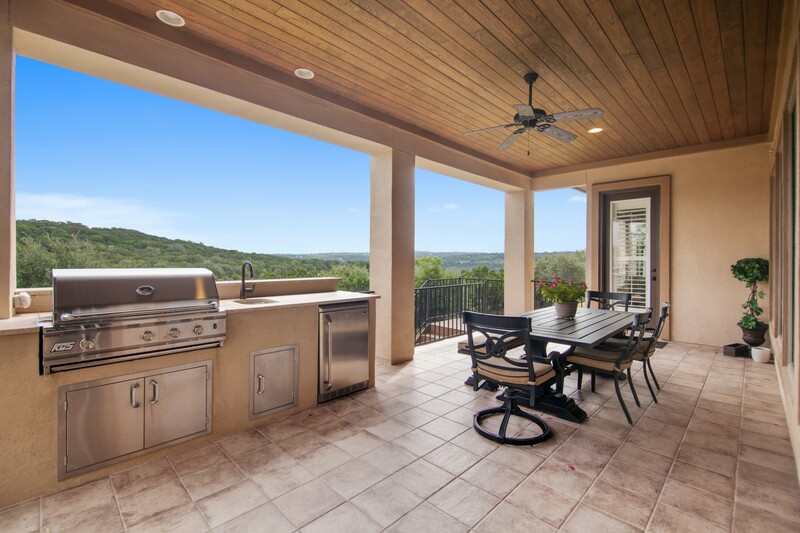 Panoramic views of the Texas Hill Country from almost every room of the house. 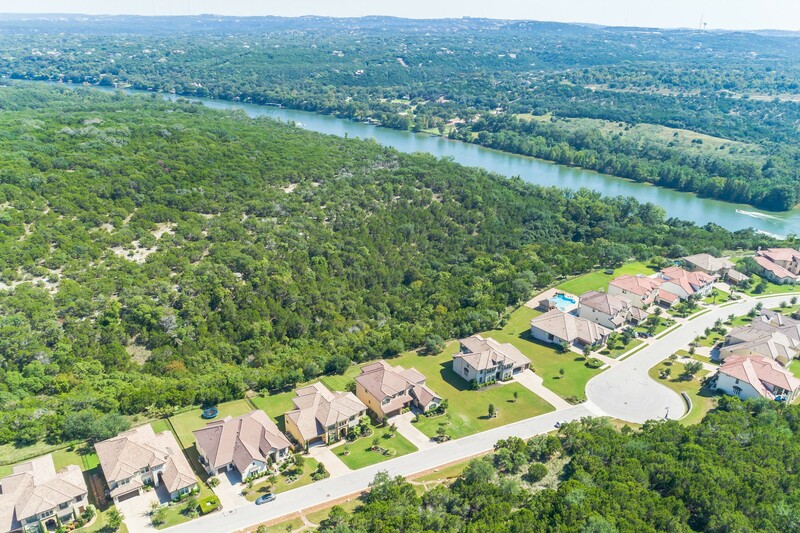 Enjoy the many amenities Steiner Ranch has to offer including lake access, parks, pools, miles of hike and bike trails and much more. You are going to love it here!